This Ealing production of Charles Dickens' novel stars Cedric Hardwicke as the eponymous hero. 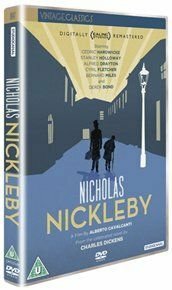 The duplicitous scheming of an avaricious uncle robs Nicholas Nickleby of his rightful inheritance. In order to care for his family, Nicholas is forced to leave his schoolmaster's post, and seek his fortune as a travelling entertainer.